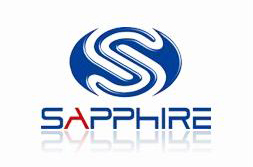 SAPPHIRE Technology is the leading manufacturer and worldwide supplier of AMD/ATI based motherboards and graphics solutions. "Sapphire is ATI's largest and best performing partner World Wide" Dave Orton, CEO ATI. "SAPPHIRE designs, manufactures and distributes the most complete range of ATI video boards and mainboards; from the mainstream products that afford the casual user the opportunity to enjoy enriched graphics and affordable platform solutions to the state-of-the-art technological marvels that drive fantasies to before unattainable thresholds of realism, and offer the pinnacle of stability and performance! " We take a close look at the small form factor m-ATX motherboard that gives you fast performance for all of your multimedia desires, and that also provides the ability to play the latest Direct X 10 games; along with the layout to install a second ATI card to gain CrossFireX performance for your gaming needs. 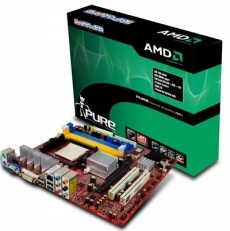 The Pure 780G from Sapphire is a micro-ATX motherboard that houses AMD's new 780G chipset with integrated video solution. This AMD chipset integrates a powerful DirectX®10 graphics core powered by ATI's HD3200 graphics driver and is also the first motherboard to deliver a true HD cinematic experience without the addition of an external graphics card. This motherboard is also an excellent solution for those wanting to build an energy-friendly Green PC.